Tame your short run creasing or creasing/folding tasks with the PT375 CKF Automatic Creaser/Folder. Processes up to a maximum sheet size of 14.5″ x 25.5″ / 36.8 cm x 64.75 cm (39″/99.1 cm handfed) and perform up to 16 creases per sheet! The PT375 CKF features an efficient suction feeder, easy to replace front-loading interchangeable crease/perf dies, simple touchscreen controls, and up to 50 jobs can be stored into long-term memory. Pull up existing folding jobs in seconds or program a new job through a single and intuitive touch screen. 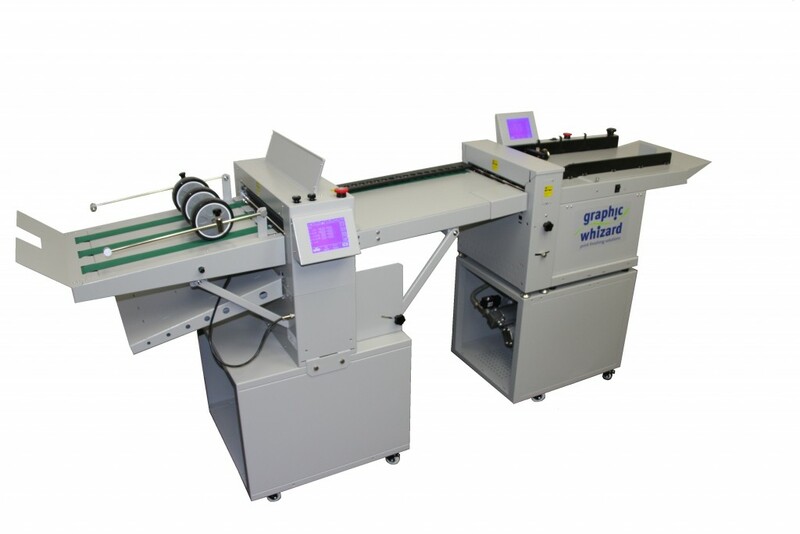 Crease and fold difficult jobs eliminating issues caused by wrong grain or toner cracking. The PT 335CKF is a complete crease/perf/fold finishing system designed to give users professional quality finished pieces while eliminating inefficient set-up time. Feeds up to a maximum sheet size of 13” x 35.4” with an effective 4” pile feeder and can run up to 32 creases or perforations per sheet. Strike perf capabilities make it a rare folding machine than can “T” perf or box “perf”, and then either fold or output onto the bypass tray. Automated set-up through touchscreen control or using the 64 job memory means a quick job changeover, even for one time jobs. Eliminate cracking, offer more versatility, reduce set up times, and deliver high quality results all with less operator intervention. At over 7,000 sph the PT 335CKF is the answer to all production level creasing/perfing/folding in the demanding digital market.